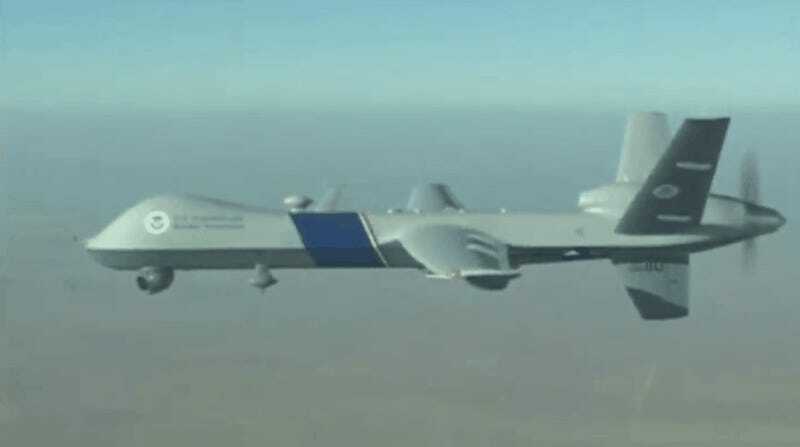 A Predator drone operated by U.S. Customs and Border Protection shortly before takeoff on a surveillance flight near the Mexican border on March 7, 2013 from Fort Huachuca in Sierra Vista, Arizona. According to a new report, U.S. Customs and Border Protection (CBP) broke a record last year by flying more drone missions along America’s borders than ever before. CBP completed 635 missions in the 2017 fiscal year, totaling over 5,625 hours of flight. The agency uses unarmed MQ-9 Predator B drones that are equipped with sophisticated cameras and sensors to monitor drug trafficking, border crossers, and anything else that’s happening within 100 miles of America’s borders. 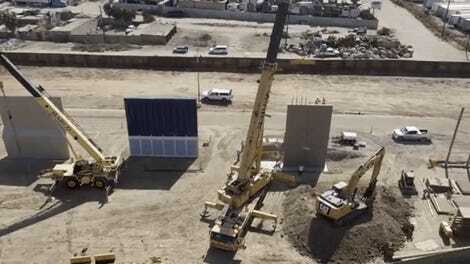 The statistics about America’s border drones were made available in a new report from the Department of Homeland Security’s Inspector General, which found that CBP hadn’t set up proper security for the images captured by its drones. CBP disputes the findings and insists that its drones only transmit encrypted surveillance data, that the images don’t contain personally identifiable information, and that all photos and video are deleted after five years. CBP currently operates drones out of three sites in Arizona, Texas, and North Dakota to patrol both the southern border with Mexico and the northern border with Canada. A fourth operations site in Jacksonville, Florida was recently closed. “These unmanned airplane systems missions were CBP specific and did not involve any other DHS component,” Arlen Morales from the DHS Office of the Inspector General told Gizmodo over email after we raised questions about the numbers. In short, the 635 missions that were cited in the report don’t include drone operations by other factions of the Department of Homeland Security. CBP is just one sub-agency under the Homeland Security’s $40 billion per year umbrella. Much like CBP’s on-the-ground activities, which are increasingly criticized for being abusive, CBP’s surveillance drones are free to operate within 100 miles of America’s border, which encompasses a lot of space. Checkpoints that are nowhere near the border are now commonplace as CBP agents demand that people prove they’re in the United States legally. The U.S. first started using drones to patrol America’s borders in the 1970s, when surveillance planes used during the Vietnam War were brought back home. 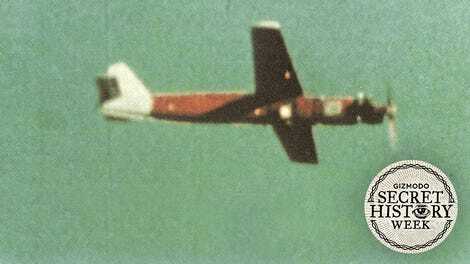 The U.S. Department of Defense developed a sophisticated electronic network of drones and sensors under Operation Igloo White that was used in Vietnam in the late 1960s and early 1970s. That war kicked off a system of increased electronic surveillance around the U.S.-Mexico border that we still see expanding today. According to current rules, border drones are required to fly above 19,000 feet, a provision that the government suggests will keep the drones from capturing images of faces on the ground, one of the many things considered “personally identifiable information.” But as you can see from this 2012 video released by CBP, the cameras on the drones are pretty powerful. And that’s to say nothing of other drones we already know about that can spot a coin on the sidewalk from the height of a commercial airplane. The 1.8-gigapixel ARGUS-IS surveillance platform, developed by DARPA, can reportedly spot things as small as 6 inches wide from 17,500 feet. Again, this is just the technology we know about publicly from over five years ago. It’s a given that America’s national security establishment is using more sophisticated cameras by now. If you think the news that Predator drones are flying over America is scary, you’re not alone. Over the past decade the terminology has shifted in much of the drone world, as governments try to make constant aerial surveillance a new normal. You can see it in the names that the drones get, as the name Predator gets replaced with Guardian. But the Trump regime doesn’t seem to care much about appearances. 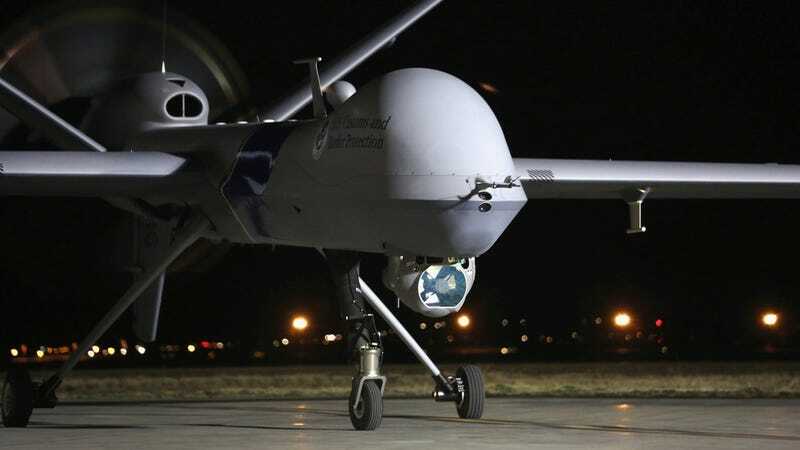 The U.S. National Guard has asked Congress to deploy Reaper drones at the U.S.-Mexico border, an uncrewed aerial vehicle that’s more sophisticated (and arguably sounds more terrifying) than the Predator. Many voters demanded a president that just calls a spade a spade. And now they’ve got a government that just calls a Reaper a Reaper.